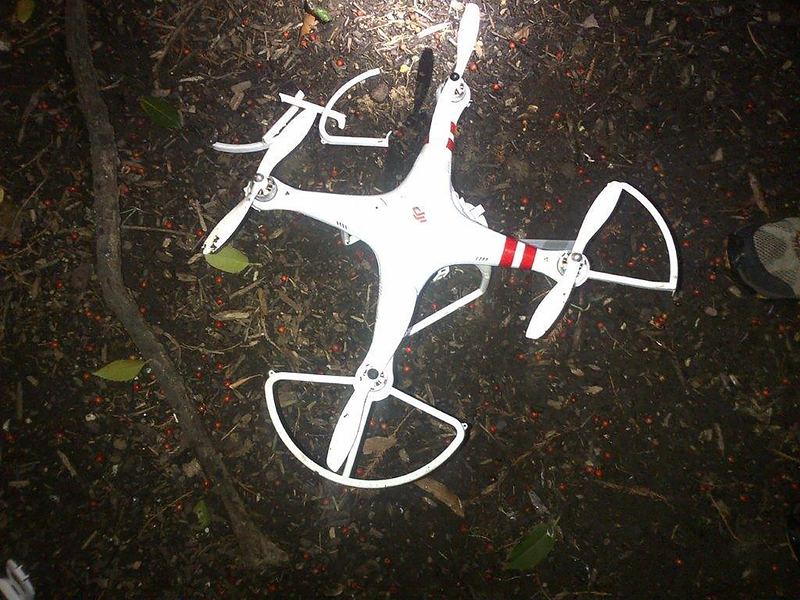 The U.S. Attorney will not be pursuing criminal charges against the man who lost control of a drone that landed on the White House grounds on January 26, according to a statement released by District of Columbia U.S. Attorney Ronald Machen, Jr. The Secret Service investigated the incident, and the Federal Aviation Administration (FAA) has begun its own review to determine whether it will pursue any action. The U.S. attorney's statement on the matter said the Secret Service found that the drone operator, Shawn Usman, had borrowed a quadcopter drone from a friend and taken it to his apartment in downtown Washington. He was flying it outside his window, and at about 3:00 a.m., as described in the U.S. attorney's statement Wednesday, "[Usman] saw it ascend to an altitude of about 100 feet and head in a westerly direction. He tried to regain control over it, but to no avail. He called his friend, who was unable to advise him how to gain control over the drone." Usman lost sight of the drone but knew its battery was dying and went to sleep assuming it would land in the vicinity of the Mall. He woke up to the news that it had, in fact, crashed on the White House grounds and called the Secret Service to explain what had happened. Forensic analysis of the drone "determined that it was not operating under the direction of its controller when it crashed at the White House," according to the U.S. attorney's statement. Usman wasn't available for comment, but his attorney, James Garland, of Covington & Burling, said in a statement that Usman was "grateful" the U.S. attorney's office had decided not to pursue charges. Garland apologized to the president and his family on Usman's behalf, said that he was cooperating with the FAA's investigation. "This entire incident, while unfortunate and understandably alarming, was totally inadvertent and completely unintentional," the statement went on to say.